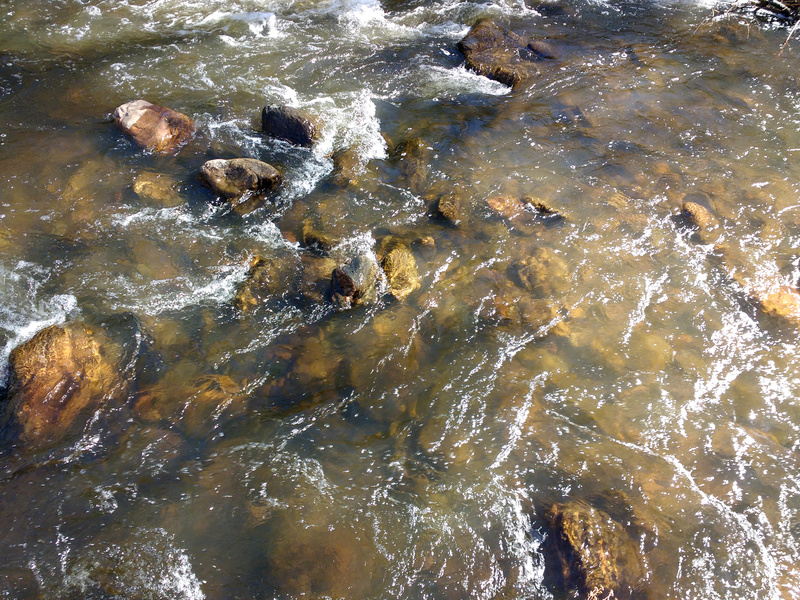 Free high resolution photo of stream water running over rocks. This picture shows a flowing stream or creek with splashes and ripples as the water runs over stones or rocks. Free image for any use.